If you’re going to sell something, it’s a good idea to sell something everyone needs and uses. The same principle holds true in the service industry. This year, one in 1,789 homes are in foreclosure. Property foreclosures are an unfortunate side of the lending/financial industry; banks, mortgage lenders, and asset management companies will always need property cleaning and maintenance service providers for repossessed real estate. 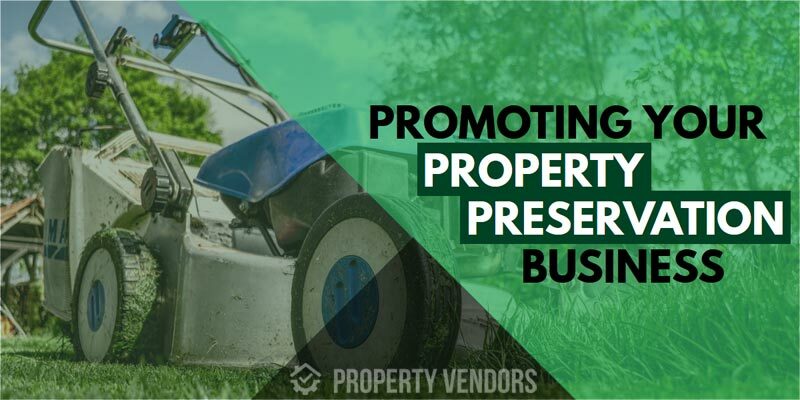 If you want to grow your private and commercial property cleaning and maintenance business, here are some marketing for property preservation businesses tips that may help you. 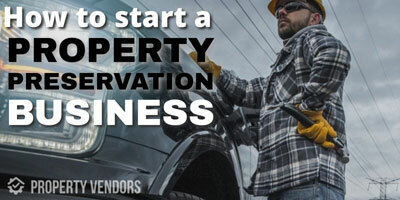 Real estate is all about location, location, location, but marketing for property preservation businesses is all about registering with banks and mortgage lenders. For these institutions to take you seriously, you must have a “formal” business structure that includes licensing and liability insurance coverage. Your license – Register your business with the county clerk’s office. Your business – Join the local chamber of commerce and other area business organizations. Insurance – Liability insurance is a minimum requirement, learn about worker’s compensation and equipment/vehicle coverage. SEO (search engine optimization) keywords on your Internet website will help your visibility (the number of “hits” your website gets) in response to searches. If a potential client enters a search string, “property preservation companies in Baltimore,” your business should be one of the search results. Strengthen your alliances with B2B (business-to-business) marketing of your company and its mission; advertise your services not only to financial institutions, but also materials suppliers and other companies within your industry. Your listing in the PropertyVendors.com Directory will channel property preservation job notifications in your area directly to you as soon as they are posted. When a mortgage lender, financial institution, or asset management company requests your services, don’t delay. Accept the work immediately and give that company the best service possible, including updates and follow-ups. Sometimes there are no second chances. Be prepared to answer questions or even take a written test to affirm your competency. Many properties are owned by HUD (Housing and Urban Development), so your knowledge of HUD guidelines is important. Ninety-seven percent of marketers use social media, but 85% aren’t sure which sites are best. There are several likely social media sites, and all of them will accomplish your goal to gain new business. Sites like Facebook “humanize” your company. We are now living in what some call an “information revolution.” Technology continues to evolve almost at the speed of light to provide today’s consumers with knowledge as fast as possible. The more information you can share that is related to your company and industry, the higher your customer conversions will be. 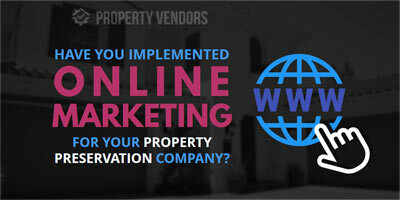 Are you a property preservation vendor? Get listed in our directory and get property preservation job alerts delivered to your email. 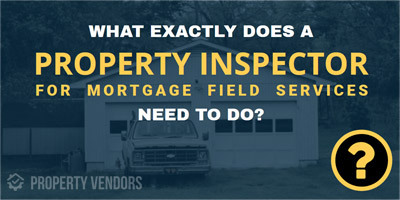 What is a Property Inspector in the mortgage field services industry?